There can be a number of potential causes for the pain your little one feels. With such an array of symptoms, how can you tell if baby has a milk allergy? A milk allergy or milk-allergy-associated issue can easily be overlooked. Your healthcare professional can diagnose if your child has a food allergy. If you suspect your child may have a food allergy, these 8 questions can help you talk to your healthcare professional about your concerns. Regardless of the results of this quiz, if you have any concerns regarding the health of your child, please consult with your child’s healthcare professional as soon as possible. Have you noticed any unexplained skin rashes on your baby? There are many possible causes for skin rashes on infants. An allergy to cow milk is one possible factor, especially if the rash occurs along with some of the other signs mentioned in this quiz. Does your baby vomit or spit up frequently? It's quite common for babies to spit up. But when your baby spits up often, has projectile vomiting, isn’t gaining weight properly, has trouble swallowing, seems distressed or is always unhappy—it may be a sign of something more serious, like gastroesophageal reflux (GER). For some infants with GER, a cow milk allergy is involved, contributing to spitting up. Does your baby have persistent diarrhea? A baby’s stool is normally loose compared to an adult’s. A looser stool every once in a while is not uncommon. However, if bowel movements become much looser or more watery and are persistent (two to four times a day for more than five to seven days) and/or if you see blood in your baby’s stool, this could be a sign of a cow milk allergy. Is your baby regularly and uncomfortably gassy? All babies have gas, but when they are persistently gassy and display several of the other symptoms discussed here, it can be a sign of cow milk or food allergy. Does your baby have any respiratory problems? Colds are common for infants, but wheezing, struggling to breathe and developing excess mucus in the nose and throat are not. For some children, respiratory issues like these are signs of a cow milk or food allergy. Has your baby experienced little or no weight gain? Most infants double their weight by six months and triple it by 12 months. Another sign of good weight gain is when babies follow the curve in growth charts at well-baby visits. Symptoms of a cow milk or food allergy can prevent babies and toddlers from getting the nutrition they need to grow as they should and can contribute to failure to thrive in babies. Is your baby extremely fussy or "colicky"? Every baby cries, but crying continuously and inconsolably for long periods of time is unusual. Colic is somewhat controversial, but a rule of thumb is that if your baby is crying for 3+ hours a day for more than 3 days in a week, over 3 weeks, you should speak to your doctor. A milk or food allergy can contribute to digestive pain that can lead to extreme fussiness and crying. Please select an answer to continue or choose to skip this question. Based on your answers, your child may be experiencing one or more possible signs of a cow milk allergy or multiple food allergies. Your healthcare professional can provide a more thorough evaluation and diagnosis. Print this sheet and bring it with you to your next appointment. 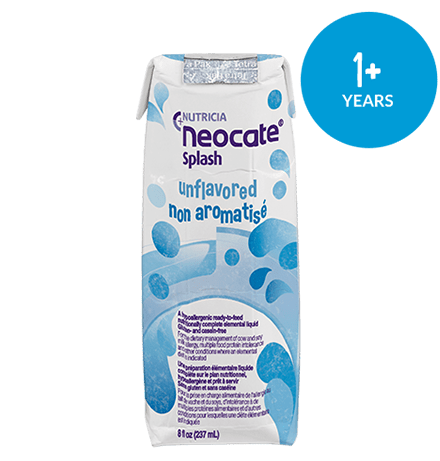 If your healthcare professional suspects a milk or food allergy, he or she may recommend a hypoallergenic formula, like Neocate. 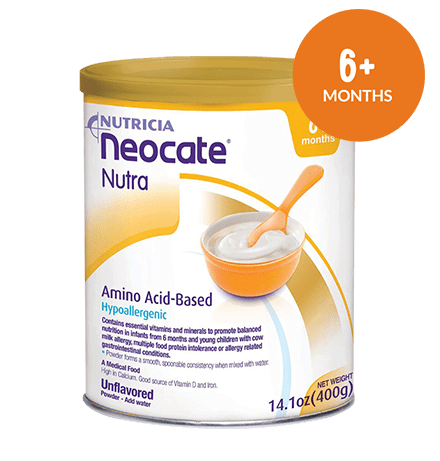 Neocate is different from other formulas because it's 100% milk-free using non-allergenic free amino acids, the building blocks of protein. 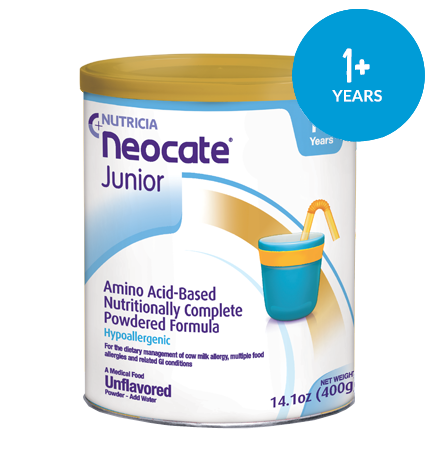 The amino acids in Neocate are easy for infants and children to digest and absorb. 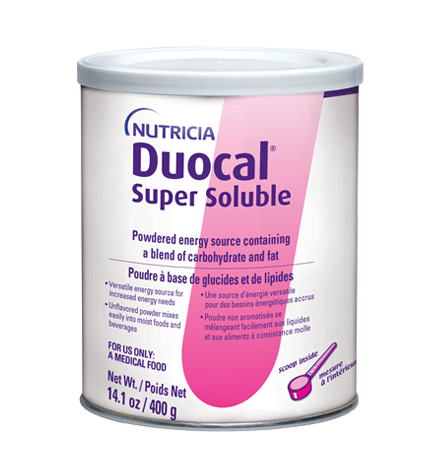 Neocate does not have whole or fragmented protein chains that can trigger an allergic response. 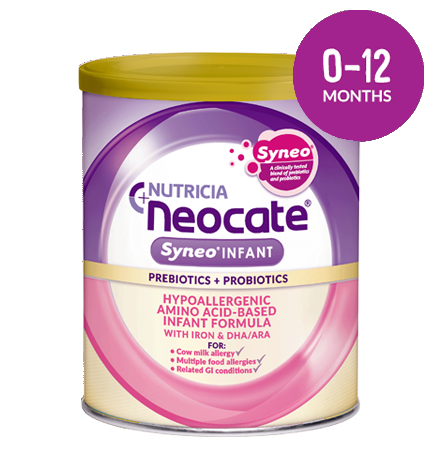 An elimination diet using Neocate can manage food allergy-related conditions, atopic dermatitis and GER in 3-14 days. 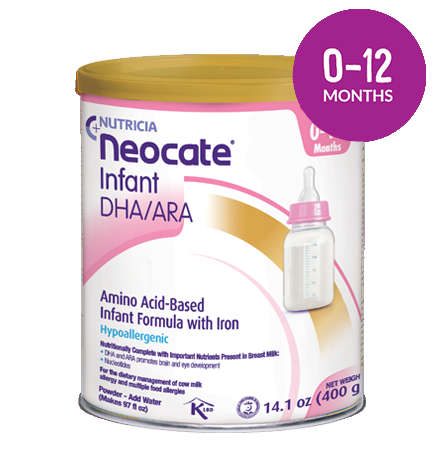 Neocate offers a range of nutritionally complete formulas that support normal growth and development. Based on your answers, your child is not showing 8 common symptoms associated with cow milk allergy. We recommend that you ask your healthcare professional for a thorough evaluation and diagnosis. Food allergies and related conditions can sometimes be difficult to diagnose, especially in infants and young children. In addition to allergy testing, clinicians depend on discussions with patients and/or caregivers to make a diagnosis. If your little one has had symptoms that could be a result of food allergies, but you don’t yet have a firm diagnosis, be prepared for your next visit to the doctor with some helpful questions. Learn More About Baby Rashes. Learn More about 8 Cow Milk Allergy Symptoms. Learn More about CMA and Breathing Symptoms. Learn More about Failure to Thrive.